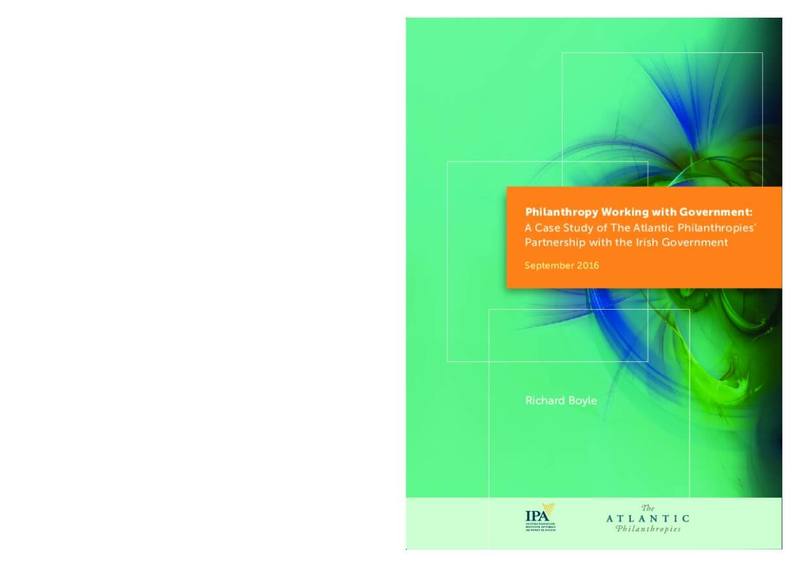 This study examines the extent to which The Atlantic Philanthropies' approach of working with government to influence policy and practice, with a particular focus on public service reform, can be considered innovative and successful. The study focuses on the period from 2003 to 2014. Copyright 2016 by Institute of Public Administration (IPA). All rights reserved.